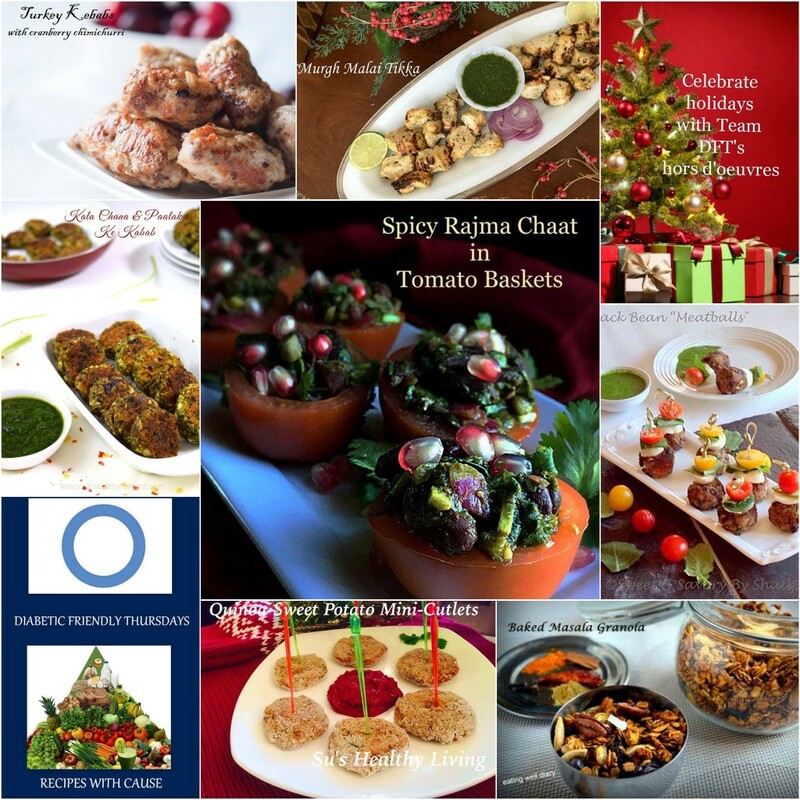 Celebrate this Holiday Season with Team DFT with some figure fitting, weight watchers and Diabetes Friendly Recipes! 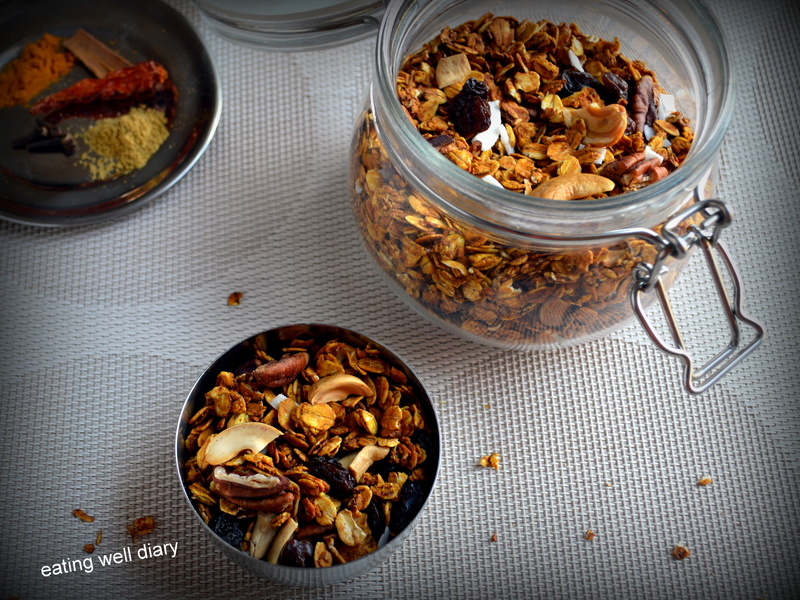 Who says granola has to be super sweet or even sweet? And who says you have to eat it only for breakfast! 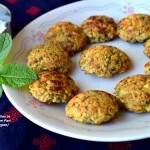 Here is a SAVORY (mildly spicy) version of the regular oats snack. 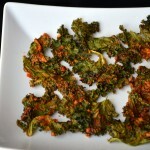 A very easy-to-make snack and TOTALLY ADDICTIVE! I mean it! Whenever I make this, it does not last more than a day! It is a well-known fact that whole grains are low in Glycemic Index since they digest slower than refined grains. This is a perfect snack for diabetics as well as others. 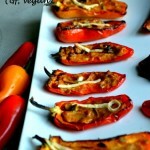 It is loaded with good fat from nuts and has mild spices to enhance flavor. Like it says on a bag of granola, just eat it out of the jar! melted coconut oil- 2 tsp. unsweetened coconut flakes- 1 tbsp. (or) just use 1/4 tsp. 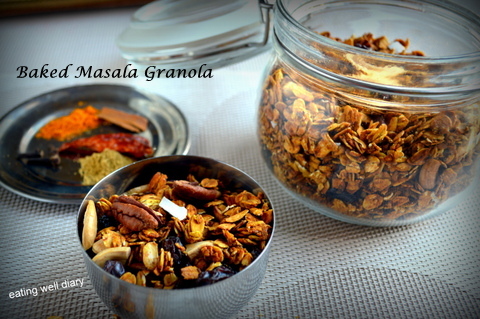 of your favorite Kadhai Masala or Garam Masala mix! 1. Pre-heat oven to 350 °F. Line an aluminum baking sheet with parchment paper. 2. In a bowl, take applesauce, and add oil, all the spices and salt to it. Mix well. 3. Add rolled oats, mix to coat. Also add all the nuts at this time. 4. Spread evenly on the baking sheet and bake for 15 minutes. 5. Remove tray from oven and shake around the mixture to ensure even baking. 6. Return to oven and bake for 10-15 minutes more. Keep watch so as not to burn it! This is so awesome Apsara! Will be trying out soon. This is such an easy, healthy and delicious looking snack! I can totally see myself snacking on this. I am so making this! !